If you ask a kid what he or she would like to be when they grow up, I doubt "a forager" falls high on the list. "You mean, like gathering roots, twigs and berries and stuff?" I could hear kids say now. If you had told Tama Mastuoka Wong that she'd eventually become a professional forager, she probably would have had the same response. In fact, Tama, who professes to have one of the worst greenthumbs around, was very much a reluctant forager before she left her position as a high-powered financial-services lawyer of twenty five years. I reached out to Tama shortly after her book Foraged Flavor hit the shelves to see if she wanted to talk foraging in one of my earlier podcast series, SRO Conversations. I had always foraged here and there since I was a kid, but never thought of making a profession out of it—let alone a whole diet on it. 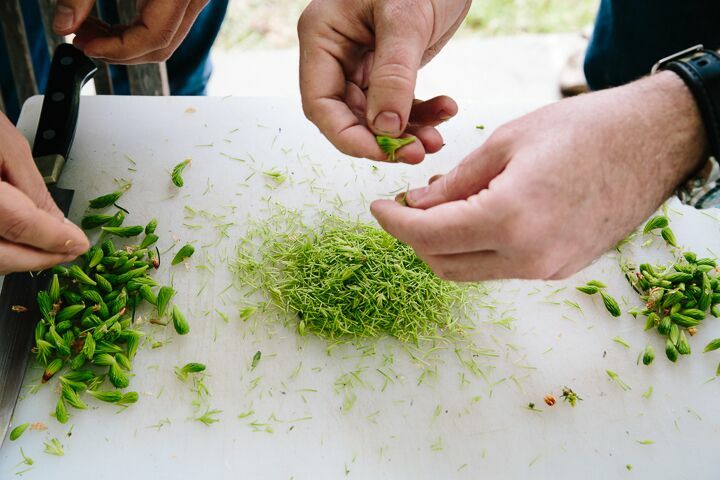 Tama proves that foraging, if done well and sustainably, can be part of a healthy life and healthy food ecosystem. 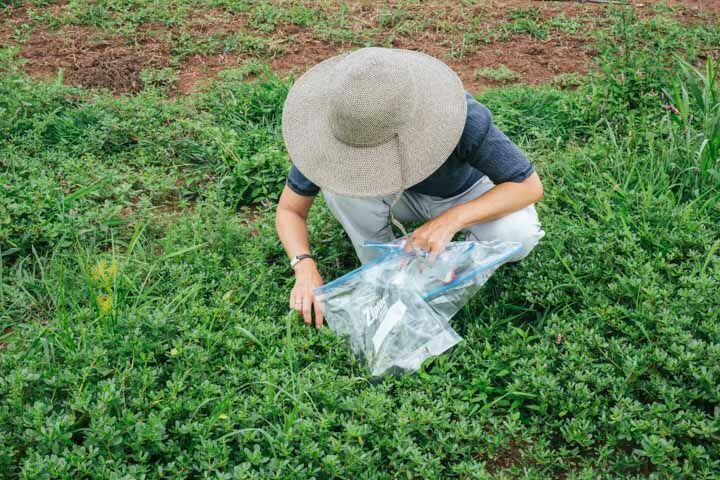 Tama foraging for purslane (Portulaca oleracea) in New Jersey. Summer Rayne Oakes: I know so much of your appreciation for plants comes from your upbringing. Tama Matsuoka Wong: Yeah, my mom was born in Hawaii (and climbed many a coconut tree in her day) and had a thing for feeling the earth in her hands. We were outside in all weather most of the time. My dad was a scientist, so he believed in: order and categorization, the discipline of accuracy, but also the Japanese poetic sense of the seasons. Nature was for him one of the meanings of life. SRO: Such a beautiful way to grow up. What is one of your fondest food memories? TMW: Probably following my mom around, rambling in her overgrown vegetable garden full of weedy things and then the smells coming from the kitchen as she cooked them for dinner. SRO: You professed to me at one point that you were a terrible gardener, is that how you came upon foraging? TMW: Yes, everything I planted—tomatoes, lettuce, flowers—died. I found out I lived on a clay soil floodplain, so I started looking at what plants grew around me naturally. You know, plants that didn't need “artificial supplements” like fertilizer, pesticides or companion planting. All they needed was just a little tending. That is how I came to love wild plants and the practice of stewardship. SRO: Speaking of stewardship, we often see an emphasis in the press or on our plates of a particular foraged species. The outpouring of epicurean interest of a particular species can disrupt or endanger it. How can we encourage more diversity of food choices without heavily relying on just one or a few? TMW: I think the first step is to better understand the ecology of the plant, how it relates to the land and how it grows. If a ramp plant (Allium tricoccum), for example, takes 7 years to mature, is a native to the land, and only grows wild in specialized habitats, it doesn't make sense to pull out an average of 2 million pounds a year in this country. Especially when there are so many other delicious and more sustainable choices. SRO: Name some good supplemental varieties to ramps. TMW: Oh, well garlic mustard (Alliaria petiolata), wild garlic chives (Allium tuberosum) and garlic pennycress (Thlaspi alliaceum L.). SRO: Ah yes, you brought some garlic mustard over for me to taste. Unreal flavor. So what are some other important principles, rules, and responsibilities that you believe every forager should know or keep top-of-mind? Foraged hickory (Carya sp.) . Photo courtesy of Tama Matsuoka Wong. Have permission (to forage), work with the land manager or, better yet, forage your own backyard or container garden. Many park and land managers spray certain weeds with highly toxic chemicals that are not always obvious. Some lands have a history of heavy industry or dumping and contain heavy metals and carcinogens. Also, it is just plain good practice and respect for your neighbors. Identification is key. Aside from the “merely inedible or edible but tastes like cardboard” risks of misidentification, there are some seriously toxic and poisonous plants and mushrooms. Despite hopes for a photo app that will accurately guarantee identification, it is not that difficult to understand basic principles towards identification. The best way is to find a local naturalist, nature center or school. There are lots of books and online sources. I follow a basic 5 step process outlined in Foraged Flavor as well as an online forum on meadowsandmore.com (our field botanist will answer). Start small. Start with something easy, like dandelions, and get to know and appreciate that plant through the season, and trust your own powers of observation. Can you see how when the dandelion’s basal (lower) leaves are first apparent they are thick and bitter? Do you notice how when the inner lighter green leaves shoot up from the center on a warmer day that they are more tender and sweet? How the flowers dipped in batter and lightly stir-fried are like popcorn? These are all things that you can discover and experience yourself and find immensely rewarding. SRO: Such great advice!!! No wonder why restaurants want to have you close-to-phone. Speaking of which, tell me how your relationship with restaurants work. How do they hear about you, especially since you're so often in the field. TMW: They contact me through word of mouth. We talk about what I have, what flavors they like. I sell them stuff. They make crazy delicious food. I get a few tips and recipes. Its 2 +2 = 6. SRO: Do you have specific plants that you like to forage in the different seasons? TMW: I really like foraging everything (surprise, surprise!) so if you are asking me which I like personally it's often a function of the place and the weather. So if a cool breeze is wafting salt and pine aromas over me while I pick a berry, it's easily a Top 10, but if it's a 117°F heat dome and I'm being feasted upon by no see’ums….well ...you get the picture..
That being said, picking some plants are just a unique physical experience, like popping 5ft cattail shoot out of a marsh or moving (not swinging) from one pawpaw tree to another in the canopy. SRO: So you don't have a favorite plant to forage? TMW: For me, because I am in the field all day several days a week, that's a difficult one. Usually whenever the first of the season starts I am all excited about it (whatever "it" is). Then after picking it for months—and several hundred pounds later—I never want to see it again. But then after the season is over, I miss it and can't wait till next year. It might seem like a strange cycle, but it's probably not so different from a vegetable gardener with a glut of baseball size zucchini in the summer. SRO: No, I totally get it! My dad grows a ton of summer squash at home and he can't give it away in the high season. He's totally sick of it by the time the summer ends. So I get it. SRO: I'm curious about the weather; 2016 was the warmest year on record. Have you seen plant communities change now that we have a warmer climate here in the Northeast? TMW: Absolutely! 2016 was incredibly challenging. Not just for me but especially for farmers. Some species just didn't bloom at all because they were hit by a killing frost at 22°F right after 80°F weather in March. Or torrential rains for 10 days straight. Some plants, such as poison ivy and ragweed, seem to thrive with additional warmth and CO2, according to weed scientists. There will be more stress and pressures on plants in the coming years. Our answer is: diversity and resilience. Even though some species wilted away, others were basking in the heat, such as purslane (Portulaca oleracea). It makes stewardship more important than ever. SRO: Thanks so much for providing that on-the-ground insight. For those who really find inspiration in your work and are keen to forage for themselves, what resources would you point them to? TMW: In addition to my own resources, I recommend a couple other websites and books including: Hank Shaw’s award winning blog. Also eattheweeds.com, USDA's plants.usda.gov; Leda Meredith's, Northeast Foraging —she also gives tours at Prospect Square Park; Ellen Zachos' Backyard Foraging; and the 66 square feet blog by Marie Viljoen. Marie also gives workshops in the NYC area. 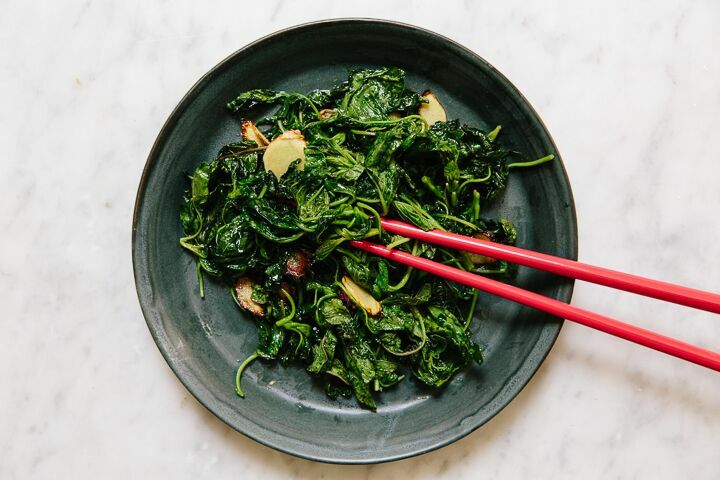 If you live in the NY and Philadelphia metropolitan areas, you can also get delivered to you a fresh and seasonal supply of wild ingredients from us, in season we have a weekly wild tasting, through Fresh Direct’s Wild and Foraged section. It also can help with your ID skills!